Blood is the main healing component of the body. Everything we consume gets digested, eliminating the bad and keeping the good. Now this good “stuff” (nutrients from food) is transferred into the blood stream, with oxygen which the body has inhaled, and continuously spreading. When there is an injury to the body, the body freaks out and thinks that it needs to protect itself, therefore constricting the blood vessels to that ‘injured’ area. By doing this the body believes it is stopping anything bad from going through the blood stream to the site of the injury; however what it is actually doing is preventing the body’s natural healing elements (found in the nutrients and oxygen) from being passed through the blood stream to heal that area. 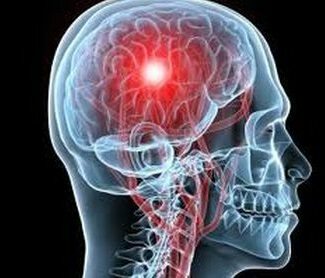 Due to this vasoconstriction (closing of blood vessels) the brain doesn’t want you using this area because you could make it worse; therefore it inhibits the motor function of your injured area, so now there is stiffness, and doesn’t move very well. This is called “guarding”. That’s why when people have chronic pain, the whole area is stiff; that stiffness is a trick being played on that area of your body, by the mid-brain. So here you are caught in a situation where there’s not a strong enough signal strength in that proprioceptive pathway, the brain won’t release those opioids, but it will constrict the motor nerve going into the area, and now you’re caught in a chronic pain and stiffness cycle which not even drugs and medication will fix because there is no structural problem, but instead the blood vessels are just vasoconstriction. The way to correct this issue is to open the blood vessels back up again. But how can that be done? Distal Acupuncture! When a needle is put into the body it sends a message (impulse) to the mid-brain through the nervous system and proprioceptive pathways. The mid-brain then releases enkephalins, which are the body’s natural opioids, and about 1000 times more powerful than a histamine drug (such as oxycontin) to specific sites on the body, depending where needles have been placed. These opioids (enkephalins, endorphins, etc) which have been released, open up the blood vessels at the “injured” site; which then allows oxygen and nutrients to be spread, creating instant pain relief! This process needs to be repeated as the body has a “freak out” thinking that it must once again shut off the blood vessels to protect itself; therefore repeat treatments are needed in order to reboot the signal strength in the brain and get this to stick, to keep the vessels open for the blood and nutrient flow; basically just re-establishing neurological homeostasis. To make this work, the needles have to be put in specific areas on the body, depending what, and where, the issue is. The reason for this all comes from the day we were conceived and developed from an embryo, to a fetus, and a fetus to a baby. This process is completed in an unraveling motion where you were once ‘ball-shaped’ and had all parts of your body, from your wrist, to your ankle, to your shoulder, to your hip, to your neck, to your throat, to your spine, to your pelvic area all connected as one. During this unraveling process of developing from an embryo, into a fetus and into a baby, these parts un-attach physically from each other, however neurologically will always be connected. Therefore if a needle is placed into the wrist, it will send impulses to the mid-brain, which releases chemicals to open up the blood vessels of the areas all previously mentioned that the wrist was once physically connected to as a fetus. This here is a major reason as to why people can’t get over “chronic pain” situations. It is also the problem with physical therapy and why it does not always work, as physical therapy techniques don’t involve neurology; causing the therapist to think “oh your wrist is weak”, so let’s just work out the wrist. But you are actually going against the whole entire genetic tendency to not use that wrist, because it’s injured (or at least the brain thinks it is). First you have to take the pain away; then if it’s still weak, physical therapy will fix that. But to try to do physical therapy as a pain relief method, by using the appendage is not a good idea as you could injure them even more, causing greater damage.